Dr. Jack Goldstein is Fellowship Trained in Orthopaedic Sports Medicine. He has a wealth of experience in both general Orthopaedic Surgery and Sports Medicine. He specializes in knee and shoulder arthroscopic and open reconstruction. He also has extensive experience in Total Joint Replacement of the Shoulder, Knee, and Hip, and both operative and non-operative care for fractures. He is also involved in HealthCare Information Technology and has developed EKiosk© for Validated Outcomes tracking directly by patients and Operative Notes© an automated program for physicians to create customized Operative Notes. Doctor Goldstein is a native Californian. He graduated from the University of California at Davis in 1975, with a Bachelors Degree in Physiology. After two years of Medical research, and graduate work in Mechanical Engineering, he received a Medical Degree from U.C. Davis in 1982. His interest in Orthopaedic Surgery developed with a broad background which included teaching woodworking and joinery at U.C. Davis, to biomedical research and Mechanical Engineering coursework. After two years of General Surgery, he completed an Orthopaedic Surgery Residency at Rutgers University in 1988. His personal experience in gymnastics, running, and competitive swimming, prompted Fellowship subspecialization in Sports Medicine with Dr. Douglas Jackson in Long Beach, California. This Fellowship was completed in 1989. He practiced Sports Medicine and General Orthopaedics from 1989 through 1991 in Oahu Hawaii, and then moved and continued to practice in Providence, Rhode Island. Dr. Goldstein has extensive Orthopaedic Sports Medicine experience. He specializes in Arthroscopic Ligament Reconstruction of the Knee and Shoulder, and arthroscopy of all joints. He also has extensive experience in Total Joint Replacement, fracture care, and reconstructive treatment of deformity and length discrepancy using Ilizaroff techniques. He has a very broad experience because of training and practice in several states. In addition, Hawaii presented an unusual breadth of problems and experience, including treatment of polio patients, and severe limb deformities sent from the far East for treatment. He is dedicated to patient education, and high quality Orthopaedic Care, and treats patients of all ages. 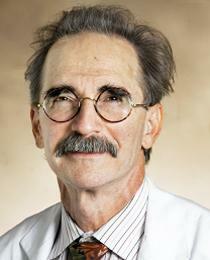 Dr. Goldstein has been actively involved in Family Practice education and Medical Student Education at Brown. He is the team physician for East Providence High School, and has interests in surgical instrument design and fabrication, collagen biological implants, and bioengineering topics related to Sports Medicine, and extensive experience in Outcomes Data tracking and Health Information Technology. Effects of Sodium Nitroprusside on Hypoxic Pulmonary Vasoconstriction in the Dog Published in the American Physiological Society, l981. Parsons, G.; Goldstein, J. Short Term Assessment of Reconstituted Collagen Tendon/Ligament Prosthesis. Presented by co-author Y. Pedro Kato, American Biomaterials Conference, Colorado, 1988. A comparison of patellar tendon autograft and allograft used for anterior cruciate ligament reconstruction in the goat model; Goldstein, J.; Jackson, D.W.; American Journal of Sports Medicine. July 1992. Mechanisms of Pulsus Paradoxus in Upper Airway Obstruction. Parsons, G.; Green, J. The American Physiological Society l978. The Effects of Morphine on the Mechanical Properties of the Systemic Circulation in the Dog. Green, J.; Jackman, A. and Parsons, G. Circulation Research l978. Private Practice Outcomes, Outcomes Data Collection in Private Practice; Goldstein, J. Clinical Orthopaedics and Related Research. 2010 October; 468(10): 2640–2645.